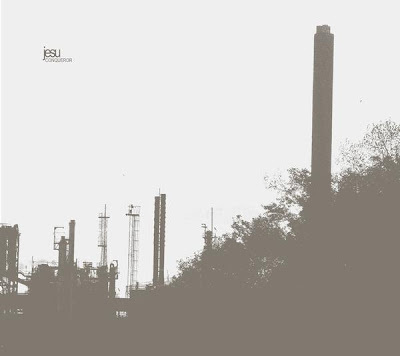 J.K. Broadrick triumphantly returns with his second, and quite appropriately titled, Jesu full-length (the follow-up to last year’s critically acclaimed Silver EP). Packed with eight gorgeously hypnotic tracks in just over an hour, Conqueror exhales a dreamlike mist of weighty celestial ambience, underwater phantasms and slow-rolling nebulae, fomenting the kind of kaleidoscopic rapture—brimming with lush electronics, dulcet guitar textures, massive riffs, and lavish atmospheric hues—that makes us swear we’re on drugs. 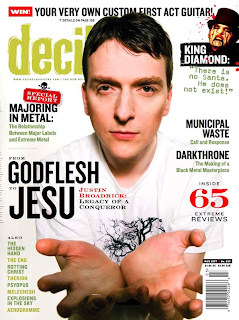 There is a feature article/interview with Justin Broadrick in the March issue of Decibel Magazine. Full tour of the United States with Isis, Torche and Zozobra starts next week. Dates can be found by clicking on the e-card link.